I decided to have lunch with a friend, and it was around Maruyama that there was a schedule for each other after lunch, so it was decided that the lunch was at Maruyama. 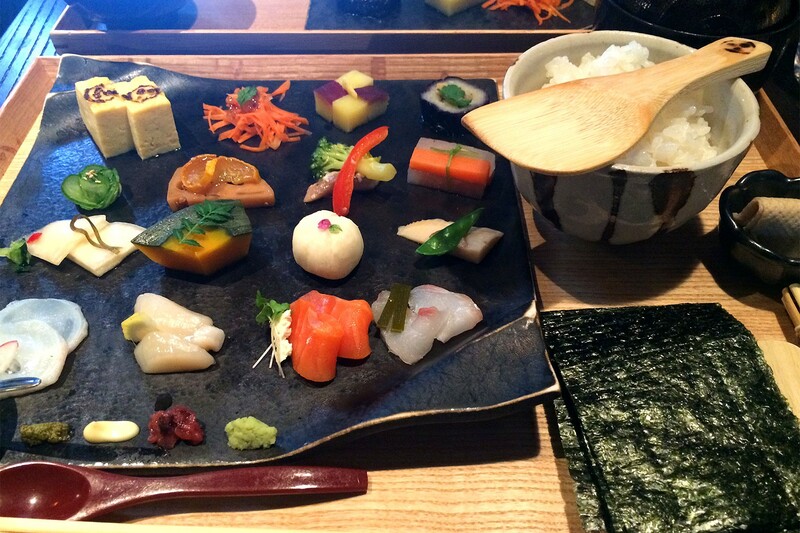 We decided to share candidates of each shop, and as for the mood as Japanese food, “Mr. still tea ceremony Maruyama” is decided. Because it is a weekday, I went without reservation … but it is better to reserve it. Based on the schedule after lunch, we had a meeting early at 11:30 to the shop. It is located on the south side of the Maruyama class, about 2 minutes on foot. 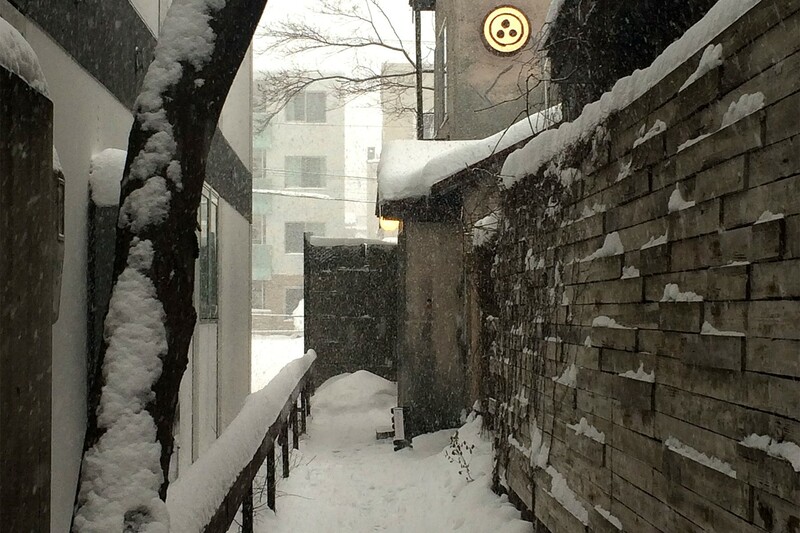 The signboards face the roadway, but the shop walks several meters behind from here. It is quite a tasteful atmosphere. 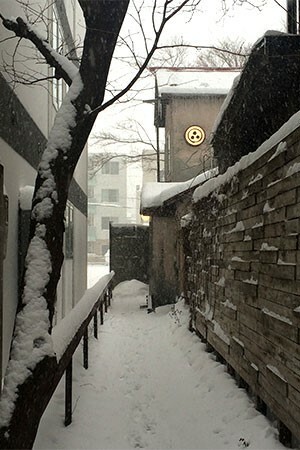 Inside the shop, the atmosphere of warm Japanese that made use of the old private houses. wonderful. When asked, “Do you have a reservation?” If you tell them that you are not doing it, depending on the menu, it will take time to restrict the quantity. However, as it is about 30 minutes, I decided to take it here. 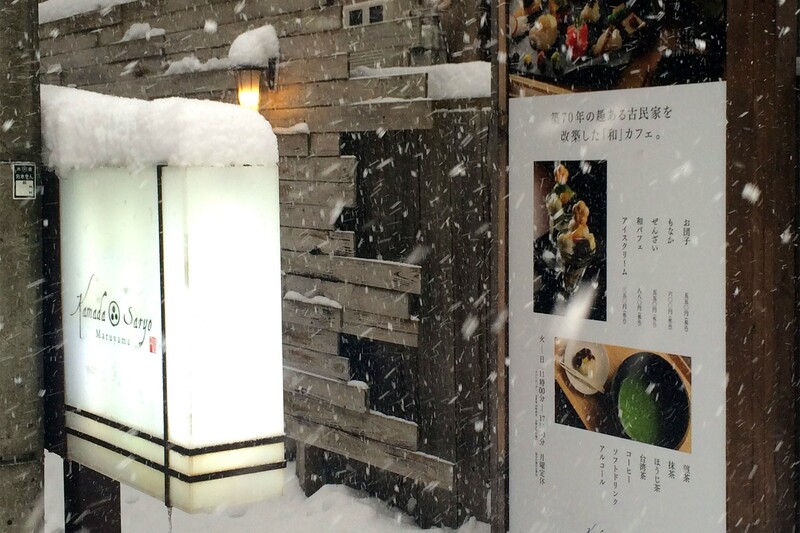 I have forgotten to take a picture of the menu … …. There is sweetness, especially Japanese style, attractive. 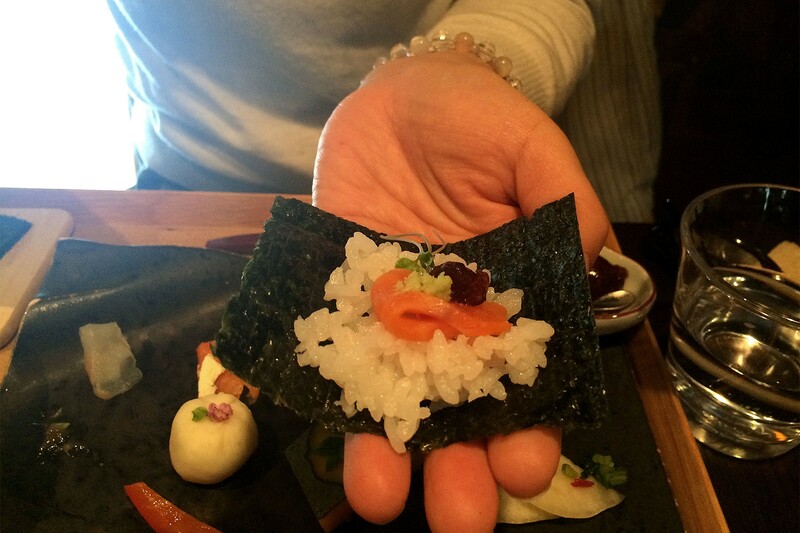 We ordered hand-woven sushi with limited quantity per day. I was waiting while chatting, so I do not know if it was half an hour, but meals were brought while I did not feel so long. Serve to take away your eyes! It’s cute and beautiful, and the tension goes up. The one with a small spoon on the left is jelly of soy sauce. And, Yuzu pepper, mayonnaise, plum, wasabi is included. You can combine these to hand-wrap seafood as you like. Jelly in soy sauce is easy to eat, so it will not be too wet, so you can enjoy the taste of seafood and the flavor of seaweed without being disturbed. Everything in association is also hand-crafted, all of which are gentle seasonings and very delicious. If you want to enjoy hand-woven sushi, we recommend you to reserve it because it is limited in quantity. Because it was an early time or weekday, I could order even without reservation this time, but it seems to be out of stock depending on the day. 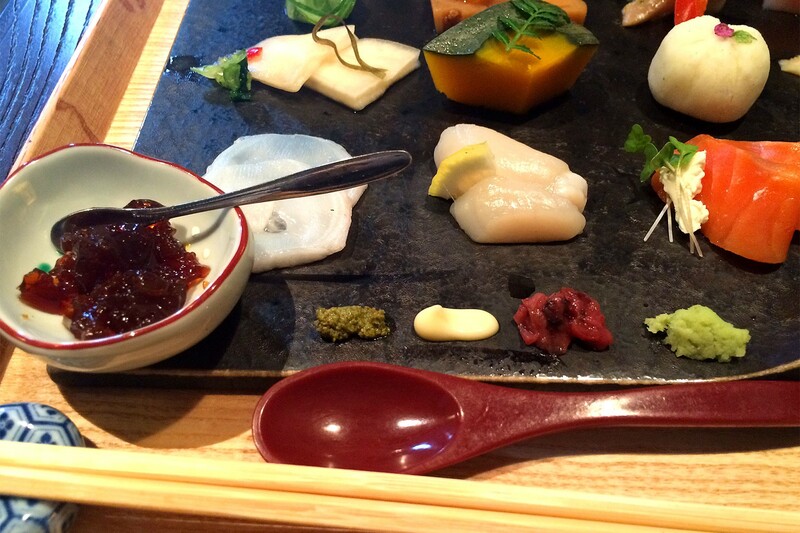 While enjoying hand – woven sushi, tempura and steaming have also been brought. 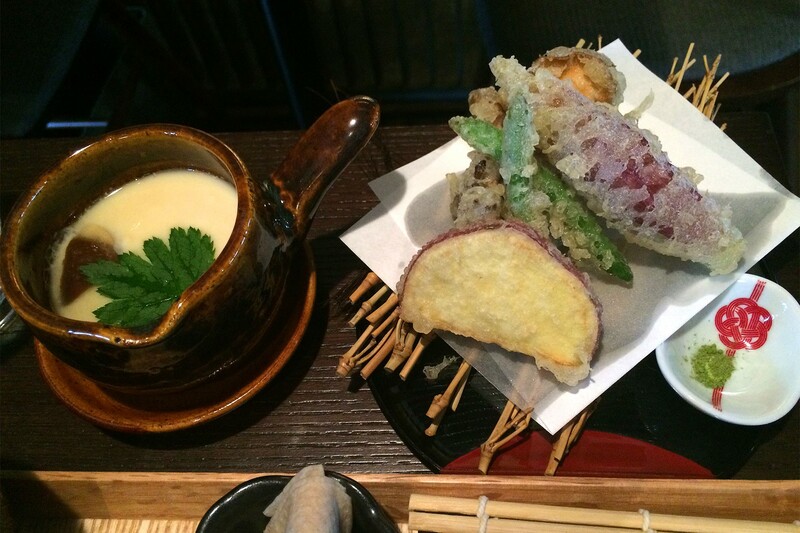 Tempura is served with powdered tea salt. It is crispy and delicious! The big chestnut is contained in the steamed chestnut, which is also gentle seasoned and very delicious. A little sweet is my favorite and happy. 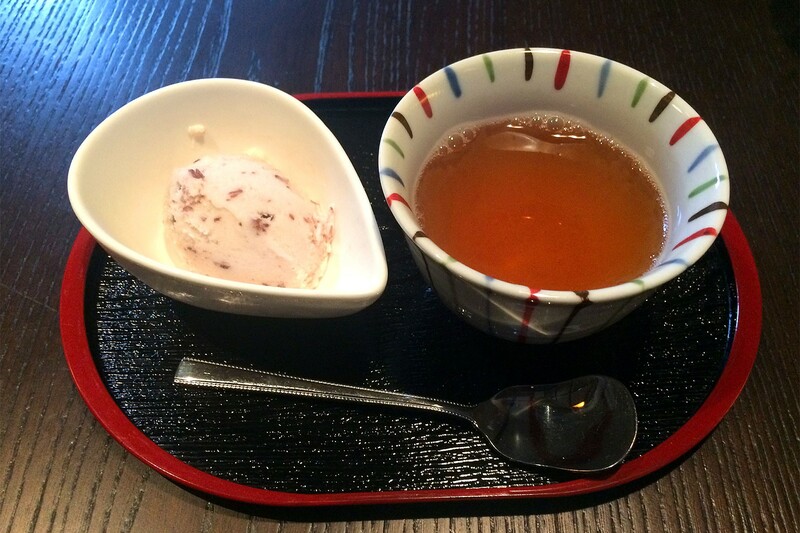 The second dessert was red bean milk ice cream and roasted green tea. It was refreshing and tasty. Although it is for a lady in terms of appearance volume, it was just a good amount, I was satisfied very much when I tried it.